Place the mince in a strainer. Wash in the strainer. Press out the excess water. Heat oil in a kadhai / pan and deep fry the onions till golden brown. Drain with a slotted spoon and cool. Grind the browned onions, ginger, garlic, cashew nuts and drained khus khus / poppy seeds to a smooth thick paste. Put the mince, onion paste, garam masala, chilli powder and salt in a mixer blender. Grind well to get a sticky consistency. Remove the mixture to a bowl. Add chopped coriander. Refrigerate for at least 2-3 hours for the flavors to penetrate the mince. Take handfuls of the mince mixture and press on to the skewers. 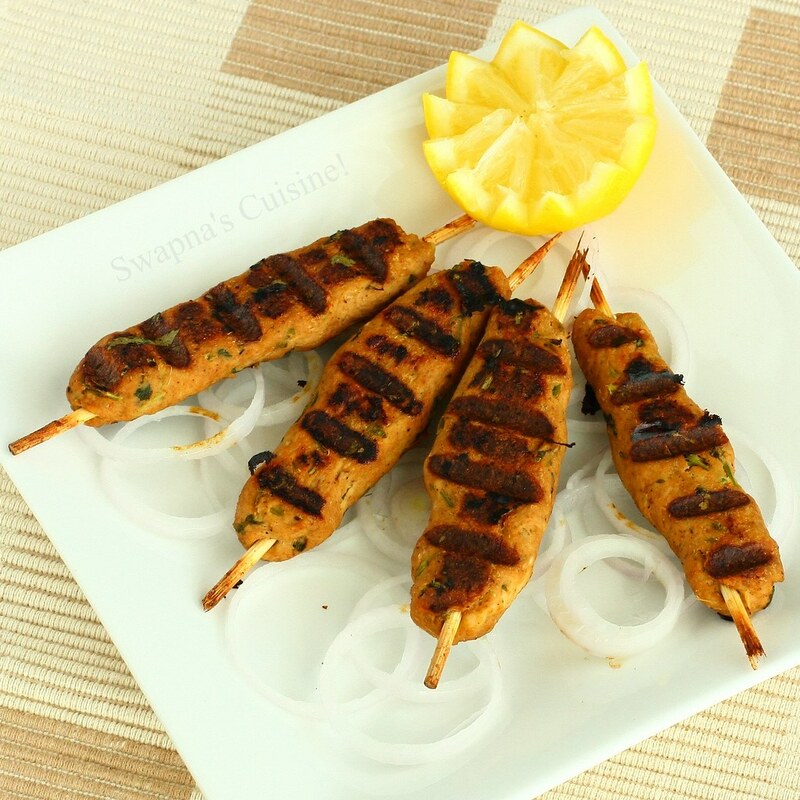 You can either bake or grill these kebabs. 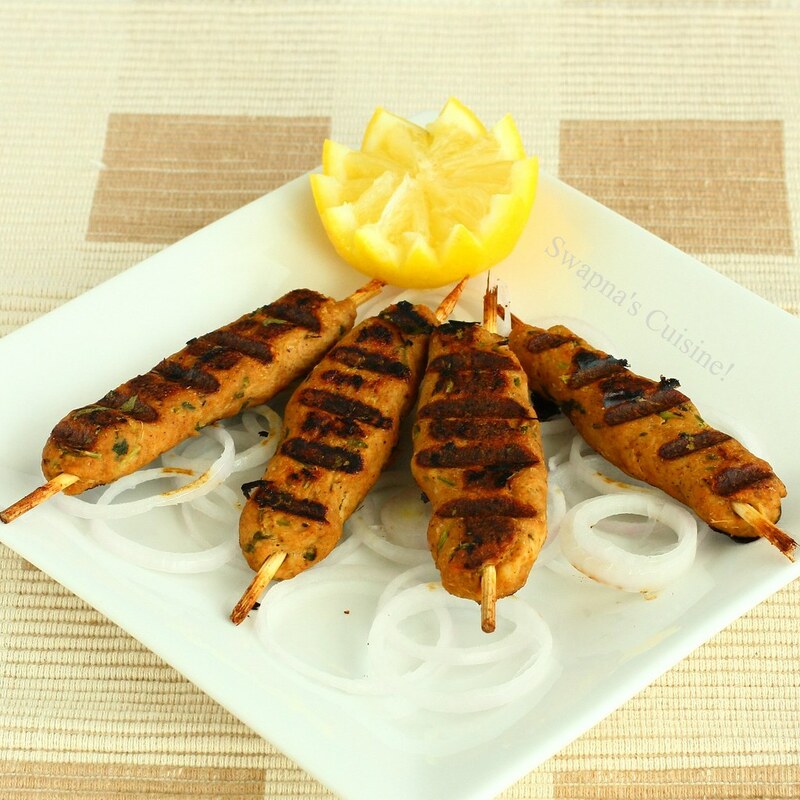 For baking: Place kebabs on an oven rack with a tray underneath to collect the drippings and bake at 180C for 10-15 minutes or till done rotating the skewers. Grilling: You can either use your oven grill or electric grill. (I used my toaster grill). 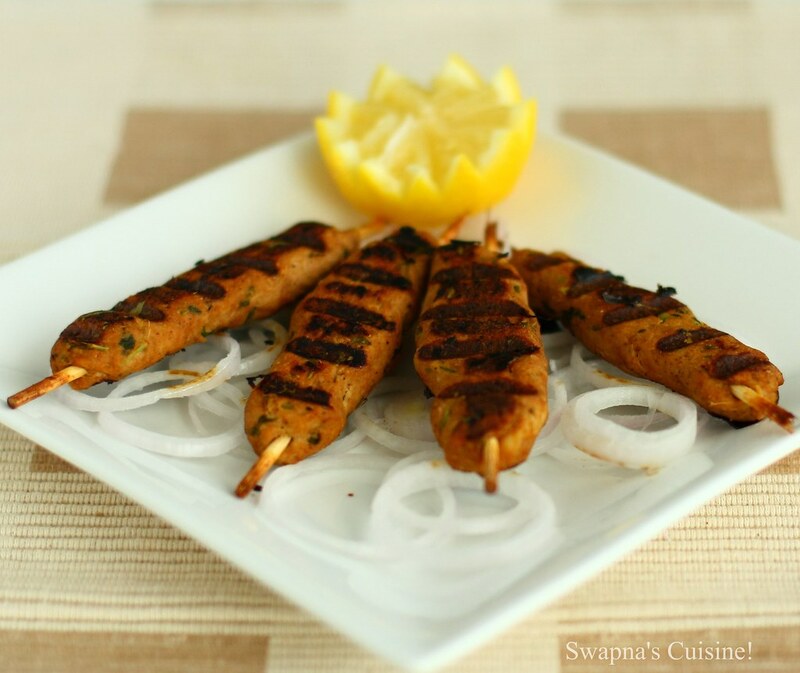 When the seekhs get cooked sprinkle lemon juice and chat masala on the kebabs and serve with onion rings and your favorite chutney or ketchup. I've wanted to try this for sometime & finally made this yesterday for a party, came out well. My guests liked it very much :) Thanks for the recipe dear!